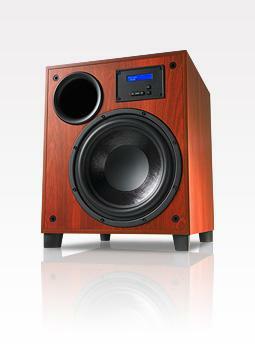 The Tektonix subwoofer combines two highly succesful aspects from the Krix subwoofer range. It utilises the Seismix 3 cabinet, 11 inch bass driver and vent and combines this with Krix's new Digital Subwoofer Amplifier (KDSA). Through the use of high performance Class-D amplifier technology and front-mounted control panels with a backlit LCD display which fades away in brightness after 45 seconds, all adjustments can be done quickly and effectively by removing the front grille and scrolling through the menu options and pushing the buttons to make your selections. No more worrying about pulling your subwoofer out of joinery and risk scratching your sub, or pulling out a lead out from the wall in order to make changes whilst holding a torch in one hand and trying to read writing that?s upside down! Tektonix - an earth moving experience.